Car. Brooklyn nine-nine. 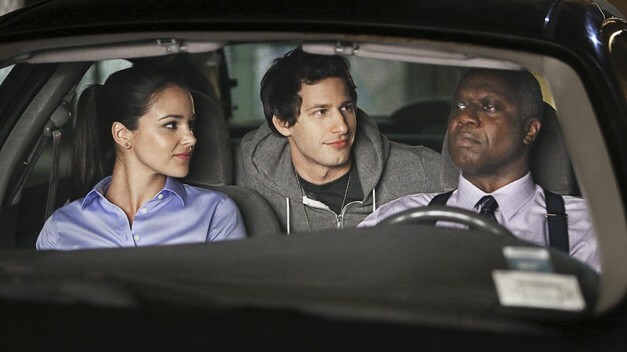 Wallpaper and background images in the Brooklyn Nine-Nine club tagged: brooklyn nine-nine pilot andy samberg jake peralta melissa fumero season 1 fox. This Brooklyn Nine-Nine photo might contain kereta, auto, suv, trak, automobil kereta, and lori.